Ivy moved to Melbourne about 1 1/2 years ago expecting to work a 9 to 5 job but when the opportunity came for setting up a restaurant with her BIL, who's a trained chef, she grabbed it. Which is what I'd expect her to do, since Ivy loves food enough to blog passionately about it in her blog, Precious Pea. We first contacted through our blogs and when Ivy came to KK a couple of years ago, I met with her briefly. She appeared to me as a very sincere person and I just couldn't leave Melbourne without dropping by Asian Gourmet Hut to see Ivy and her new restaurant. We arrived at lunch just when the customers were filing in. 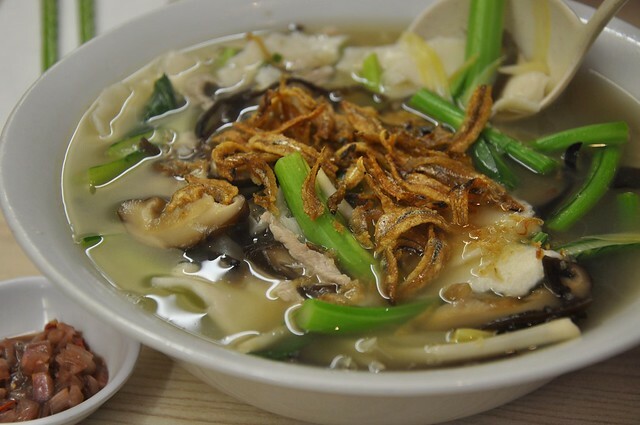 Ivy's signature dish is bun mein, wheat flour dough torn into small pieces and cooked in a tasty soup of pork slices, dried Chinese mushrooms, black fungus strips and crispy dried anchovies. Without being biased, Ivy's hand-torn noodles were the smoothest and silkiest I've eaten, much more than that of my favorite bun mien restaurant back home. Heck, I'll say it anyway: Ivy's bun mein noodles are silkier than mine (time to get back into my kitchen and work on my bun mein). The noodles were of the perfect thickness, not too thin or thick, giving a nice bite, and there were lots of pork slices and ingredients, so much that I asked Ivy if I was given extra (answer was "No"; all customers get the same). If I must fault it, bun mien is best with Sabah sweet veg but I guess that's like asking for zeekraal in Malaysia. 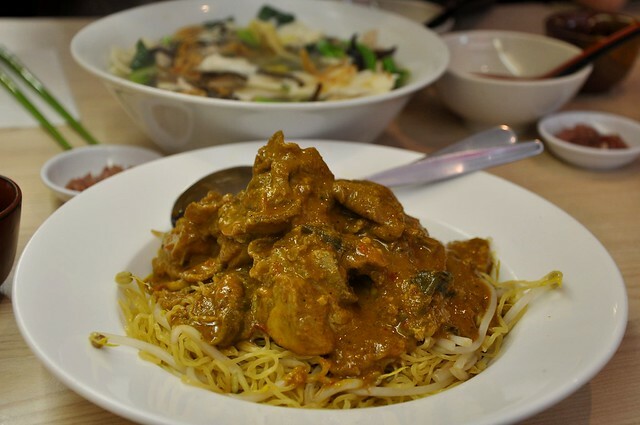 Another winner by Ivy, a delicious beef curry served over noodles. 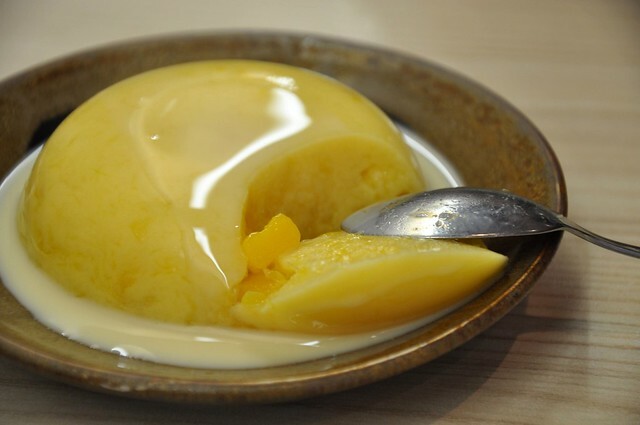 Ivy's new dessert on the menu is mango pudding: smooth and rich with lots of mango bits although I find Oz mangoes look fabulous but are never as flavorful as Malaysian ones. If we weren't too full from our breakfast and watching our weight, we would've loved to try more items on the menu. I am happy for Ivy, maybe even a teeny bit envious. She enjoys doing what she does now and I know I would too if I were her. High 5, Ivy! We stayed until 3 pm when the restaurant closed. Ivy, I'm coming back for more soon! 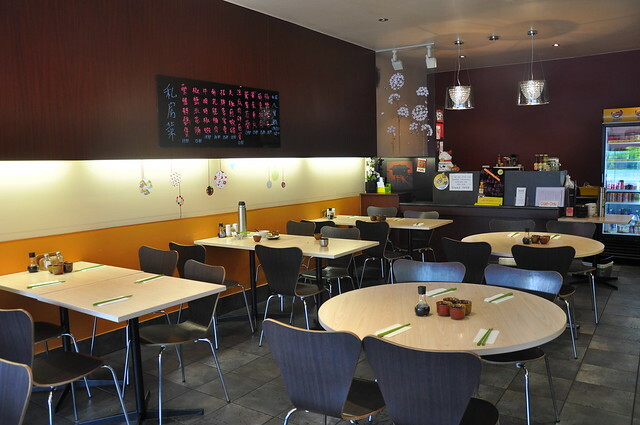 AGH is at 12 Mitchell St, Doncaster East, in a small cluster of shops and restaurants. Opens for lunch and dinner 6 days a week except for Wednesdays. Am glad u enjoyed the lunch and looking forward to your next visit. Thanks for dropping by and the wonderful recipe book. I hope to see you again soon. Yummmmmm! The contrast between the crispy anchovies and silky bun mein seems like it would be perfect. Yums! Precious Pea is a great cook, having sampled homecooked meals in KL before. I've not eaten the Melbourne version but having tasted the KL one, I can give my absolute thumbs up too.